"More than 1 million sold "You know you love your child. But how can you show it so they really "feel" loved? The #1 "New York Times" bestselling "The 5 Love Languages(r)" has helped millions of couples learn the secret to building a love that lasts. 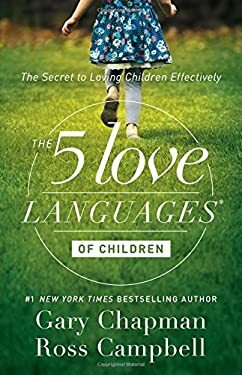 Now discover how to speak your child s love language and make them feel loved in a way "they" understand. Dr. Gary Chapman and Dr. Ross Campbell help you: Discover your child s love languageUnderstand the link between successful learning and the love languagesSee how the love languages can help you discipline more effectivelyBuild a foundation of unconditional love for your child"Plus: " Find dozens of tips for practical ways to speak your child s love language. Discover your child's primary language, then speak it, and you will be on your way to a stronger relationship and seeing your child flourish.For a free online study guide, visit 5lovelanguages.com"